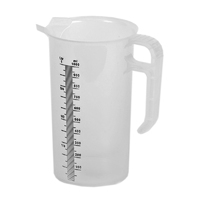 A wide range of measuring jugs and cylinders, for precise measuring and pouring. 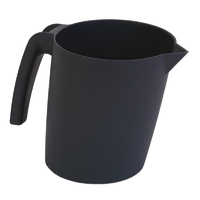 Our food-safe measuring jugs come with clear black markings to make measuring as easy as possible. They are available in a variety of sizes, from 250ml to 5000 ml. 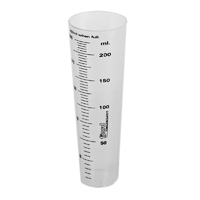 The graduated measuring cylinder is available in two sizes, 100ml and 250ml, and are both ideal tools for measuring the volume of liquid accurately. 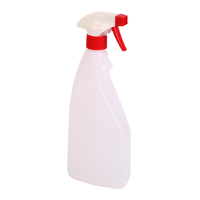 We also stocks food-safe spray bottles, ideal for a wide range of applications in the food production sector. 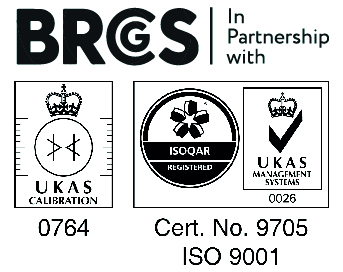 Choice of 2 sizes, fully graduated with clear raised black markings for easy accurate assessment. Precision clear pouring jugs with raised graduations and unique non-drip pouring spout. Precision coloured pouring jugs with raised graduations and unique non-drip pouring spout. Fully graduated with clear raised black numbers and millilitre graduations. These superb long-lasting clear jugs have a unique anti-drip pouring feature. 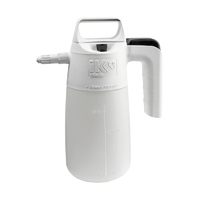 Ideal for precision measurements or for decanting acidic or caustic fluids without spills. They are no ‘run of the mill’ measuring jugs! Available in 5 colours. Available in up to 8 distinct colours. Strong, pliable and anti-splinter or fracturing, and graduated on the internal surface to either 1000 or 2000ml. 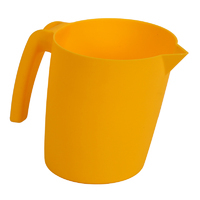 These colour coded measuring jugs are moulded from food contact approved coloured polymers. Available in up to 9 strong colours. Strong, pliable and resistant to splintering. 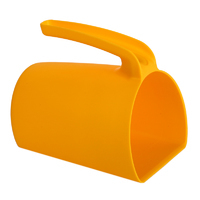 These graduated hygiene fodder scoops (hygiene jug scoops) have a wide straight edge for collecting material from flat surfaces or simply using as a conventional measuring jug. Available in 5 colours and 2 sizes. Strong, pliable and anti-splinter or fracturing, and graduated on the internal surface to either 1000 or 2000ml. 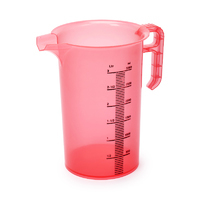 These colour coded measuring jugs are moulded from food contact approved detectable polymers. Available in up to five definite colours. Strong, pliable and resistant to splintering. 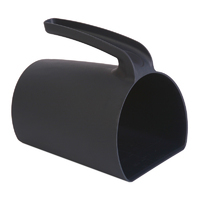 These graduated detectable fodder scoops (detectable jug scoops) have a wide straight edge for collecting material from flat surfaces or simply using as a conventional measuring jug. 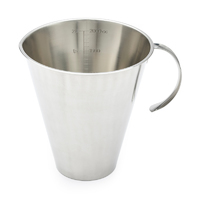 Features Include: Inside graduation in both metric and imperial measurements, slight conical shape for stability, open handle making scooping into packaging easier and light weight durability. They are also easy to work with and stack for easy storage. Available in five definite colours, with a capacity of 500ml and a tolerance of 100°C. All trigger sprays are made of HDPE. Food safe pressurised sprayer specifically manufactured with materials designed to be fully compatible for contact with all types of food, even at high temperature such as oils. Pressurised industrial sprayer suitable for most industrial purposes with a maximum working capacity of 5 Litres. This sprayer is non-food contact approved and is made of special, high-resistance materials for use with various chemicals.